The reason behind this is that aluminum weighs a lot less than other types of metals, so they cost less to ship and are incredibly useful in weight sensitive applications, like in vehicles and structural components. However, they still offer long term reliability. 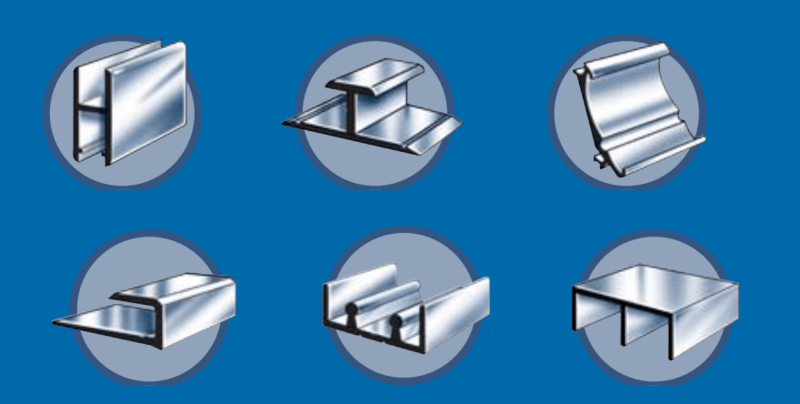 Extruded aluminum also offers other advantages such as being recyclable, being durable as well as high structural strength. Aluminum extruders achieve the final product through the aluminum extrusion process which involves heating the aluminum to the point where it is soft and malleable, from this stage the material is pressed through a die which is the pattern or shape of the final product. The pressure causes the metal to fill the die and take on the shape, once cooled the aluminum hardens into what is the finished shape. 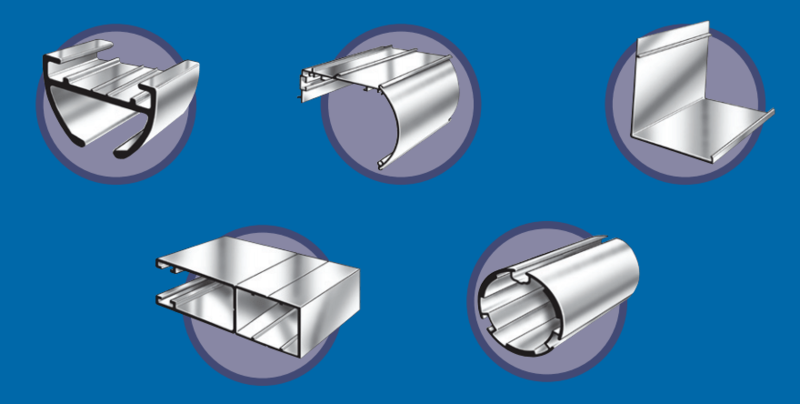 There are many different aspects and parts of the aluminum extrusion process that can be modified or customized to create a final product that will meet and exceed your needs and expectations. Different types of alloys need to be processed at different temperatures in order to get a durable product and occasionally some alloys require water during the cooling process instead of simple air cooling. Typically, the aluminum extruder will place the cooling aluminum product onto a cooling table or area where it will cool at room temperature and in some cases the product will need to be placed into an aging oven in order to increase the overall hardness of the product and also temper the metal. If you are unsure of any of the details that go into finding the right aluminum extrusion for you, seek out an aluminum extruder who has years of experience and knowledge who can assess your application and suggest the right material, style of extrusion and any other secondary process that your application may require. Aluminum Extruders Aluminum extruders are simply machines or manufacturers that use the extrusion process in order to make a variety of aluminum products.Aluminum extrusions themselves serve a number of different purposes from display cabinets inside of stores to the frame of desks in offices along with multiple purposes in a wide range of vehicles from cars and bicycles to trains and boats.